It does not matter whether you believe there are fixed draws or not. But this is a website designed to be a medium where only the best and the best pools forecasters, pools experts and pools compilers will be given the opportunity to horn their expertise in unveiling the secrets of pools. We have a vetting system that will allow forecasters to display their products on our Market place only after a 6 week trial period. A forecaster who has a 75% success rate within this trial period will be allowed to advertise his products. Each of the expert whose profile you see on this page didn't just get featured, but by the dint of hard work, in their collective desires to use pools keys or Aussie keys or whatever to give you what you want. 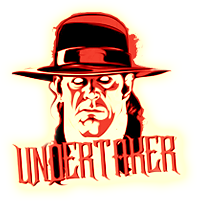 The Undertaker doesn't believe in draws. He doesn't care about games that will end in home wins. Games that end in away wins don't bother him. He believes in games that CAN NOT DRAW. He oversees the killing and burial of games. If he kills a game, then it is dead and will never rise again. WHEN YOU WANT FIXTURES THAT WONT DRAW, HE IS THE PERFECT MASTER. BUT ON THE RARE OCCASIONS THAT HE DISHES OUT DRAWS, A DRAW IS A DRAW. I have had so many spectacular performances. I don't look into the past. My gaze is into the future, where you can rate my achievement. 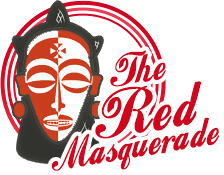 To the Red Masquerade the end is what justifies the means. His predictions are strictly colour based numerological analysis. He uses the red colour for his forecasts. He is a traditionalist to the core and the gods sanction his predictions before he makes them public. His predictions see the ray of light only 13 times in a year, in red weeks only. 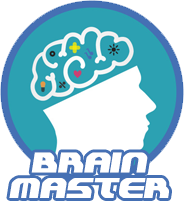 The Brain Master concentrates on effective and confirmed sequences based on well researched and highly tested observations to predict the outcome of football pools matches. His meticulousness is almost unbeatable. His predictions hardly fail. 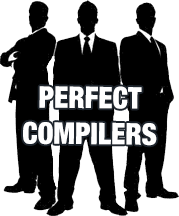 He is one of the most sought after compilers in the land. In week 50 2013, an Aussie season he correctly predicted that No 17 was going to be the first draw on coupon. Not just that, he predicted that Nos 23,25 and 29 would end up as score draws. And he was very correct. They are a troika of 3 young chaps with first degrees in different academic disciplines: Mathematics, Philosophy and Statistics. They have taken the art of pools prediction to a new level with a technique that has merged the Nigerian peculiar forecasting systems with modern trends using tools of technology and scientific methodologies. The end-product of this is a weekly release that is designed to change the contours of the pools business for the benefit of Nigerian stakers where ever they are. They forecast different divisions of the English league to come up with a pair each. In their first season when they teamed up, as Youth corpers then, their predictions earned a 100% success rate, scoring 6 over 6 over a 4 weeks period.